I picked up a bunch of new Lawn Fawn stamps and dies last week. 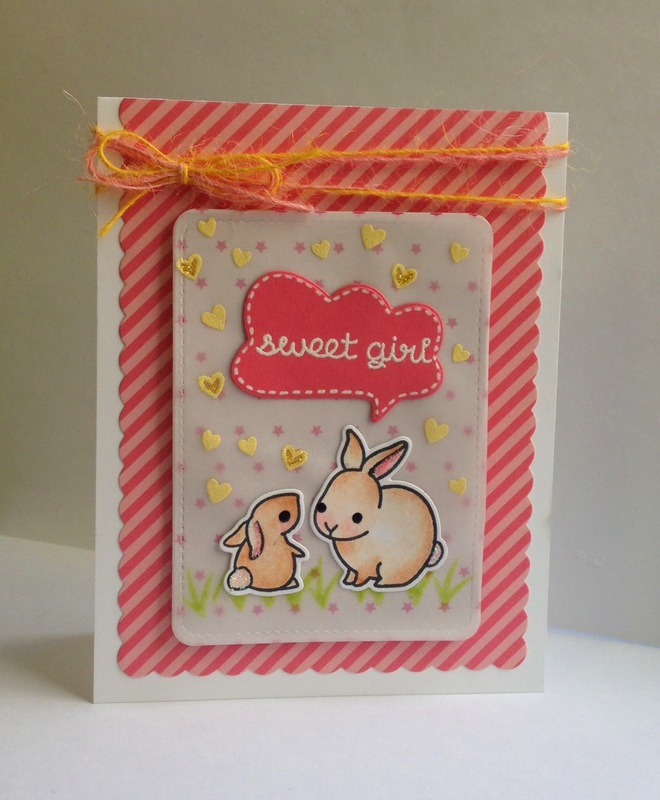 I just had to play with these bunnies! 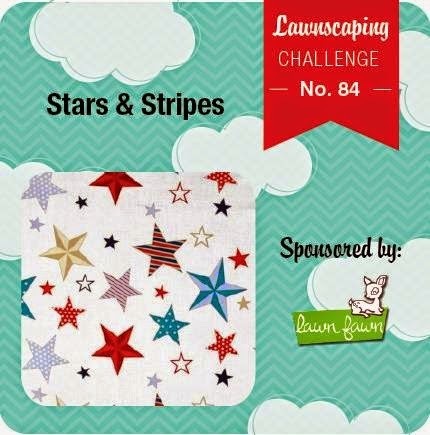 This one is for the Lawnscaping Challenge - Stars and Stripes. This is so sweet! The vellum really adds the perfect touch! Thanks for playing along with us at Lawnscaping Challenges!